On Saturday, October 22, the Music Industry Student Association hosted the annual Rocktoberfest, a student-run Halloween celebration featuring several local bands, games, and food. The festival was held at Saint Joseph Hall and took place from 3 PM to 11 PM. Several Saint Rose bands and students took part in stellar performances. Of the performers, Rose Record Label's very own Matt Dalton, frontman of Bad Mothers, was featured on stage with MILES. MILES is described to be a "trippy hip-hop" band from Albany who "brings old school flavor to new school ears." Dalton showcased a contrasting sound from rock-heavy Bad Mothers, leaving the audience dazed and wanting more. Stay tuned for more performances from Matt Dalton and Bad Mothers! Artist Alenni has launched her brand new website! This is where you can find all of her current music, videos, and contact information. She's also going to keep everyone in the loop about her upcoming music, merch and shows! Alenni, a singer-songwriter inspired by the likes of Kimbra, Ellie Goulding, and Eisley, is extremely excited to be sharing her new website with the world. Find your favorite song here: www.alenni.com. 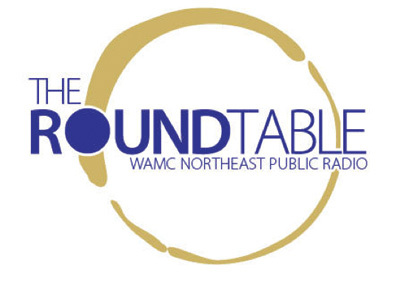 Saint Rose Communications Senior, Mary Kate Nestor interviewed President Stacia Burns and Head of PR Maria McNamara for her final internship project with WAMC, the Albany-sector of the National Public Radio. The 12 minute radio spot consisted of several songs from Rose Roots, Vol I, and was a fun conversation about the label. Burns, who is graduating, talked about the foundations of the group, and how it has grown tremendously since it was started two years ago. The label started off as a recording ensemble, and has now grown into a recording ensemble that includes production, engineering, business, songwriting, and other aspects of a typical record label. She talked about the difficulties with beginning the process, and how it has expanded into becoming an established company. McNamara and Burns both talked about their duties on a daily basis, and how everything comes together in the end. The entire process is extremely satisfying, especially because it is a group effort that consists entirely of students. They also discussed their newest release, Rose Roots, Vol I, and some of the upcoming events that the record label as a whole are very excited about. This Friday, May 5, at 7pm, the songwriters of RRLG will be performing their very own show! Now is your chance to see what these amazing artists have been doing behind-the-scenes all year long. The showcase will feature all of our current songwriters: Maria Malafronte, Liam Davis, Sam Gleason, Conor Grocki, Briteny Holden, Katie Kierstead, Emily Mitchell, Lucia Muzzarelli, Ryan O'Dea, artist Sydney Schizzano, James VanPelt, and Johanna Waldron. The songwriters will also be backed by our very own Rhythm Section and by our band, Bad Mothers! This free event will have coffee and food in addition to some amazing new music. Be sure to check it out at Jack's Place, this Friday! It'll be our last big event of the semester, to kick off an amazing summer. You won't want to miss it! On Friday, February 12, we will be hosting our compilation release party. This free, semi-formal event will start at 8pm, but doors will open at 7:30. This will be the release of our first compilation album: Rose Roots, Vol I. It will feature our current and legacy artists. The party will also be the premiere of Alenni's first music video! There will be live performances from The Bonnie Masons, Ryan Leddick, Sydney Schizzano, and Alenni, as well as performances from SMAN's songwriting team. The party, which is open to the public, will have food, and a chance to mingle with many Saint Rose students, professors, and members of the Albany community. There will be CDs and Rose Record Label Group T-Shirts for sale, and a raffle! Be sure to check it out our awesome event, celebrating all of the hard work that our label has done throughout the past year. This event will be held in Hearst's Center for Communications and Interactive Media, 996 Madison Ave, Albany, NY. On Thursday, December 3rd, Rose Record Label Group hosted Indie-cember at the Low Beat on Central Ave. Three of their artists performed: Alenni, Ryan Leddick, and Sydney Schizzano. The show was a huge success! Alenni performed a twenty minute set with her backing band, and included a one of the songs that the record label will include on their upcoming Compilation Album. Ryan's soulful voice was accompanied by his two friends, a percussionist and a trombonist. They did a mix of originals and covers for a 30 minute set, including a debut live performance. Sydney was the last performer, and she was accompanied by a cellist and a pianist. Her songs ranged from originals to Justin Bieber covers, all of which sounded amazing, as always.